WE HELP YOU VISUALIZE, BUILD & BETTER UNDERSTAND YOUR DATA! Connect to any data source, size or type. Analyze and create dashboards. Share with browser & mobile-based analytics. All within your data architecture and security protocols. 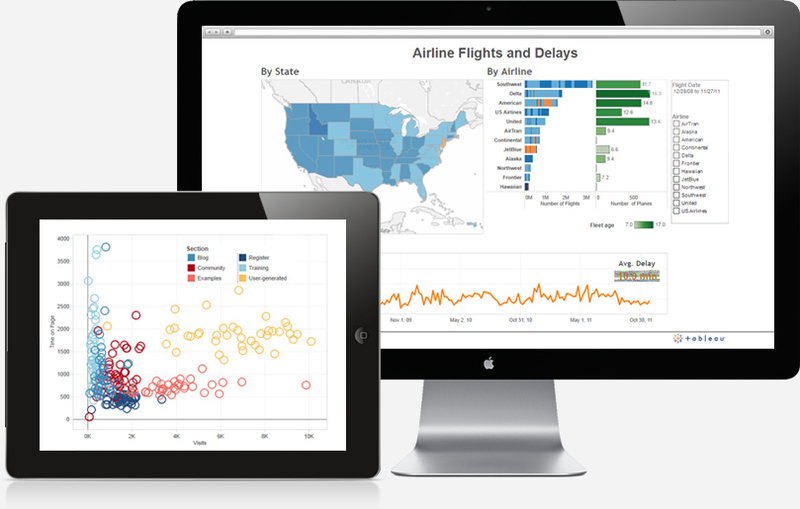 Meet the new face of business intelligence: Tableau Software. Tableau helps people see and understand data. Its award-winning software delivers fast analytics, visualization and rapid-fire business intelligence on data of any size, format, or subject. The result? Anyone can get answers from data quickly, no programming required. From executive dashboards to ad-hoc reports, Tableau lets you share mobile and browser-based, interactive analytics in a few clicks. Over 15,000 organizations, including the world’s largest enterprises, rely on Tableau. Shift into the do-it-now era with the easiest, fastest and most agile BI solution in the market. With Tableau, business users get what they need and IT saves time and money. Tableau Desktop makes it easy to answer questions about your data visually, in minutes. Connect to any data and drag & drop to analyze. Create interactive visualizations and dashboards—all without any programming. Then share with a few clicks. Tableau connects live to most databases and spreadsheets and also offers a fast, in-memory data engine to speed up analysis. Anyone who is comfortable with Excel can learn Tableau quickly. Tableau Server is business intelligence that provides browser-based and mobile analytics. It’s a rapid-fire alternative to the slow pace and rigidity of legacy solutions. Users publish dashboards to Tableau’s secure web server and then anyone can filter, highlight and drill down right in a browser or on a tablet. There’s no programming required. Tableau integrates with your data architecture, respects your security protocols and scales to the largest organizations. Tableau Public is a free service that lets anyone publish interactive data to the web. It offers an easy-to-use interface that lets you create visualizations quickly – no programming is required. Once the data is published, anyone can interact with it, download it, or create new visualizations with it. Sharing to social media or email is as easy as clicking a button. And since it’s not Flash-based, it works in browsers and on tablets. 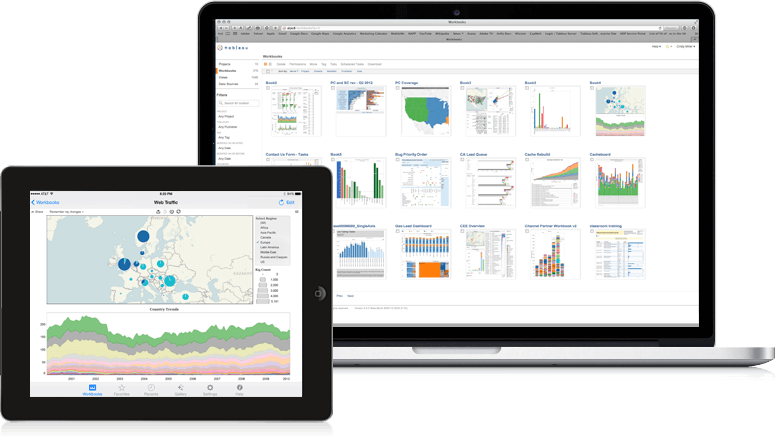 Tableau announces its newer version Tableau 8.2. Want to discuss Tableau? Contact Us Now!